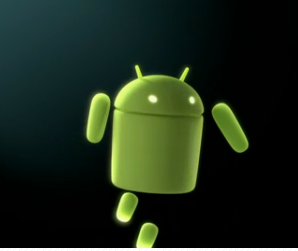 This week Google held its annual developer conference, Google I/O. The event was sold out fairly quickly as usual and had the tech world on the edge of its seat with swirling rumors and expectations. Mat asks what are some of the items we found interesting about the keynote presentation ended up being over three hours in length. Google announced new and improved tools for developers, a new UI for Google+, the Chrome browser upgrades and Google Maps improvements. 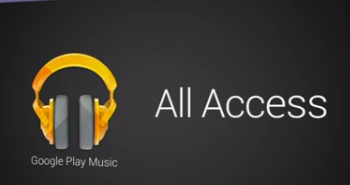 Google also announced a subscription music service call All-Access $9.99 per month. The conference is for developers and this year’s keynote really seemed to be aimed directly at the developers. This can only be a good thing in the long run for consumers. With that said, Patrick Jordan mentions how he felt the keynote was rather captivating to be at such a long duration. I enjoyed it myself, but I’m the nerdy type. Conversely, John C. Dvorak thought it was the worst keynote ever. In other subscription news, Adobe has launched a subscription plan in upwards of $50 per month. It’s $600 per year worth the costs? Other things to consider is what does it cost each time you upgrade from version to version over a year? Very interesting move by Adobe. This may be an issue for average consumers, but not so much for the professionals that make a living using the CS products. Larry shared on his blog a story from Samsung claiming to have gigabit wireless connections over high frequencies. Speculation says that we could have 5G speeds on mobile devices by the year 2020. Larry asked a few questions. How will this affect battery life? How will this affect the data usage plans of consumers? Larry also found a great article on the tech behind Netflix and its service. Isn’t it still ironic to see that Netflix is a customer of Amazon’s web hosting service? The piece from Bloomberg Businessweek looked at how data is managed and transferred based on usage throughout each day by Netflix customers. 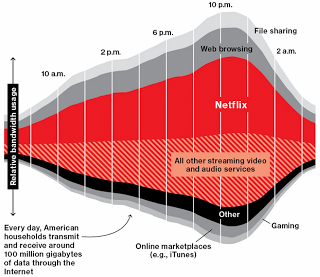 Here’s an interesting infographic of the data analysis of Netflix based on time of day. The Google Hangout on Air feature we use on YATS has had some interesting moments when it comes to updates and added features. Recently, the feature was updated with the functionality to offer on-the-fly encoding for live viewers. This allowed live viewers to rewind broadcasts in case something was missed. With that said, broadcasters would have to wait a few additional moments for the hangout to instantiate. 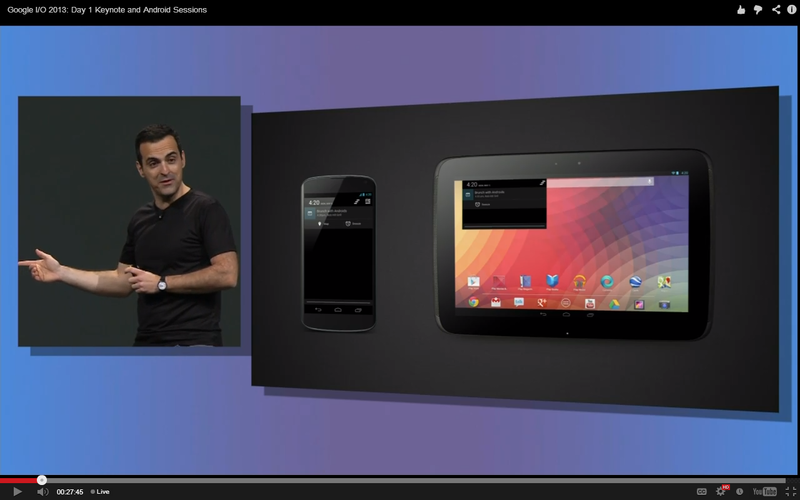 Larry discusses hangouts being used as a tool in the world of education. Good thing? Bad thing? Or utter fail? Thank you for checking out our show, everyone. We truly appreciate the love. 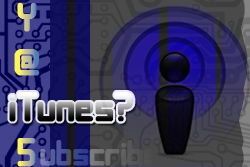 We ask that you continue to show your support by rating, commenting and subscribing to our feeds on iTunes, Stitcher and even our RSS feed. 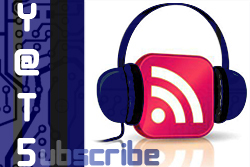 Find us on Google Plus in our community to discuss potential show topics. Be sure to check out the YATS-CREW for all of our social connections as well. Thanks for the support, everyone!